A story, “Locked Up Warriors”, about the New Zealand jail culture on Al Jazeera’s East 101 series. See Tom Carnegie's story below on New Zealand journalists working at Al Jazeera. Image: Al Jazeera – Watch video. 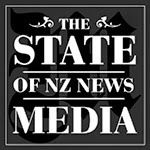 SCOOP has been hosting a lively series entitled The State of NZ News Media that is providing some rare insights into an industry under siege (not that you would know much about this from local publications). The short-term objective is identifying possible ways of reinventing Scoop and ensuring its future as the vital independent news service that it is. 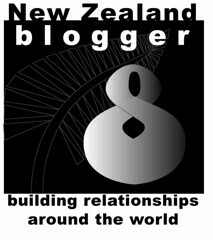 A longer-term goal is giving New Zealand journalism an energy boost and new directions. As part of the debate, some interesting pieces are coming to light on the wider issues of freeing New Zealand from the shackles of an insular and short-sighted industry. Niche media such as Scoop are essential for the country. We need independent and vigorous media with an international outlook prepared to challenge the neo-liberal orthodoxies and prejudices, such as Australia has with the Antipodean edition of The Guardian, The Conversation, New Matilda, Crikey and others. I appreciate absenting myself from daily corporate churnalism isn’t going to bring about a media revolution. But the structural problems run so deep, this profit-making media monster simply can’t be fixed with a little tweaking about the edges. LAST week, a horrid assault was perpetrated against the French weekly Charlie Hebdo, who had published caricatures of Muhammad, by men who screamed that they had “avenged the prophet”. A wave of compassion followed but apparently died shortly afterward and all sorts of criticism started pouring down the web against Charlie Hebdo, who was described as Islamophobic, racist and even sexist. Countless other comments stated that Muslims were being ostracised and finger-pointed. In the background lurked a view of France founded upon the “myth” of laïcité, defined as the strict restriction of religion to the private sphere, but rampantly Islamophobic - with passing reference to the law banning the integral veil. One friend even mentioned a division of the French Left on a presumed “Muslim question”. As a Frenchman and a radical left militant at home and here in UK, I was puzzled and even shocked by these comments and would like, therefore, to give you a clear exposition of what my Left-wing French position is on these matters. 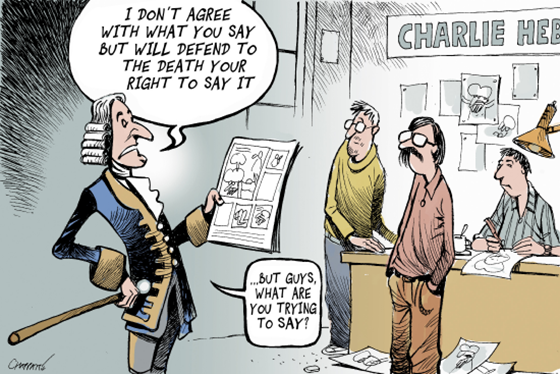 Firstly, a few words on Charlie Hebdo, which was often “analysed” in the British press on the sole basis, apparently, of a few selected cartoons. It might be worth knowing that the main target of Charlie Hebdo was the Front National and the Le Pen family. Next came crooks of all sorts, including bosses and politicians (incidentally, one of the victims of the shooting was an economist who ran a weekly column on the disasters caused by austerity policies in Greece). A profile on the role of satire in France a la Charlie Hebdo via Vox. MILLIONS of people took to the streets in France and elsewhere in Europe and North America to protest the brutal murderous attacks by Islamist extremists on the French satirical weekly Charlie Hebdo and a Kosher supermarket in Paris. At Charlie Hebdo, the death toll of 12 included the paper’s editor and some of its major cartoonists; a further 23 staff members were wounded. Several more were murdered at the Jewish grocery store. That is the theme being propagated by the establishment media and politicians. Many on the left have chimed in. NDP [New Democrats] leader Thomas Mulcair in Canada says it was a “terrible attack against democracy and freedom of the press.” Québec Solidaire leader Amir Khadir, speaking for the party, said it was a “black day for free speech". Charlie Hebdo, Before the Massacre from The New York Times on Vimeo. NINE years ago two Paris-based filmmakers, Jerôme Lambert and Philippe Picard, who have directed many documentaries for French public television, made a controversial documentary, Cabu: Politiquement Incorrect (Cabu: Politically Incorrect), about one of Charlie Hebdo's most famous cartoonists. The documentary hasn't yet been released in English, but an almost six-minute section of it about the decision-making process around publication of a cartoon of the Prophet Muhammad has been edited as a short package and published online on Op-Docs at The New York Times. Ultimately, the publication of this cartoon - and others – by the satirical magazine led this week to the tragic assassination by two jihadist gunmen of the cartoon creator, the editor and eight other people and two police officers protecting them in a savage raid on the publication’s office. By the end of three days of blood-letting in Paris, including a double hostage siege, 17 innocent people had been killed plus three extremist gunmen - shot dead by French elite security forces. More than 3.7 million people and global leaders on Sunday marched in rallies across France - including the French Pacific territories - to pay tribute to those who lost their lives. 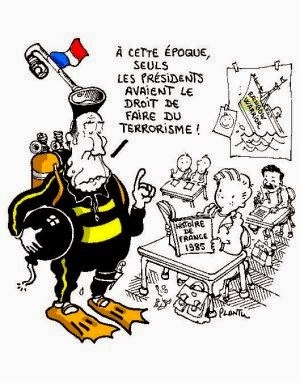 CAFÉ PACIFIC has been prompted with this column about Plantu and an interview he did last year before this week’s barbaric attack on the satirical French magazine Charlie Hebdo leaving 12 cartoonists, media people and a couple of policemen dead. And that's without adding the latest double siege casualties). 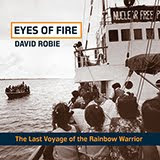 Queries in response to an earlier blog posting with questions by Robert Atack and others on whether Charlie Hebdo ran any cartoons about the Rainbow Warrior bombing by French secret agents in 1985 have not been answered here definitively. An infamous example of state terrorism three decades ago this July! Charlie Hebdo getaway video from Trung Tâm VBig. THE PARIS-based media freedom organisation Reporters Sans Frontières has called on global media editors to publish Charlie Hebdo’s political and religious cartoons as a response to the shocking “black Wednesday” attack on the weekly satirical magazine. Renowned internationally for its scathing and hilarious cartoons, Charlie Hebdo has always put its fight for freedom of information first, says RSF. And now its staff has been “decimated by an unspeakable act of violence that targets the entire press. 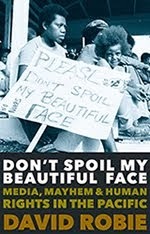 Journalism as a whole is in mourning". Many social media posters are asking is this a new “freedom of speech war”. Supporters are declaring "Je suis Charlie" - "I am Charlie" in vigils of solidarity. “But,” warns RSF, “freedom of information cannot shrink in the face of barbarity and yield to blackmail by those who assail our democracy and what our republic stands for. In the name of all those who have fallen in the defence of fundamental values, let us continue Charlie Hebdo’s fight for free information. Many people often believe that when it comes to rugby, no one can hold a candle to the zealousness of Fijian fans. And while this is evidently true in the way that Fijians follow the game, people in other parts of the world are equally captivated by the game. Take the people of the south-western French city Toulouse, for example. Fortunate enough to be part of a media group that travelled to France courtesy of Fiji Airways and the French Embassy in Fiji, I was able to see a different side of this beautiful European nation. Slightly warmer than Paris, the fourth largest city of France felt just like home the moment we landed.